We have the latest in Blues Society news from around the globe. 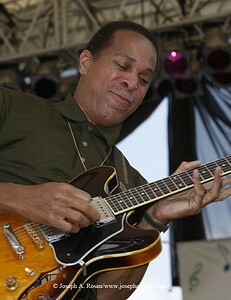 Terry Mullins has our feature interview with Blues master Melvin Taylor. We have six music reviews for you! Mark Thompson reviews a new CD from Joe Lewis Walker. James "Skyy Dobro" Walker reviews a new release from Luca Giordano. 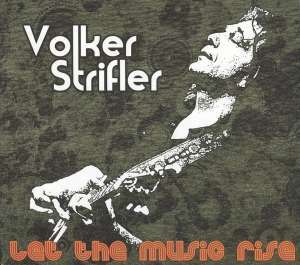 Greg “Bluesdog” Szalony reviews the new Volker Strifler album. John Mitchell reviews a new release from Earnest “Guitar” Roy. 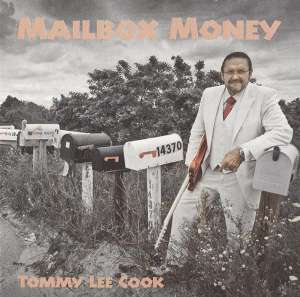 Gary Weeks reviews the new Tommy Lee Cook CD. 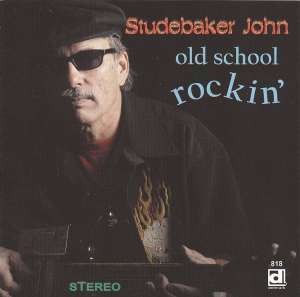 Steve Jones reviews a new CD from Studebaker John. All this and MORE! SCROLL DOWN!!! 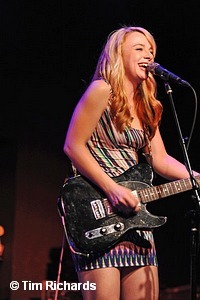 Blues Blast roving reporter Tim Richards caught Samantha Fish at Callahan's Music Hall, Auburn Hills, Mi. Photos above Samantha Fish -Guitar/lead vocals, Paul Greenlease - Bass/vocals and Go Go Ray on drums. 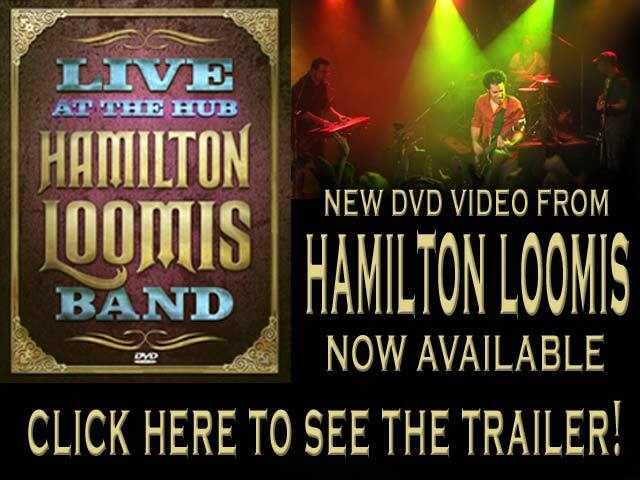 Tim Reports, "Great show, the girl has a ton of talent and the band is extremely tight." Back during its hey-day, there was arguably no better place to hear the blues in Chicago than on a Sunday afternoon at the Maxwell Street market. With regulars like Blind Jim Brewer, Jimmie Lee Robinson and Robert Nighthawk holding court on a weekly basis – all fiercely competitive performers who would not surrender their chunk of concrete to just anyone - Maxwell Street was certainly not the place for the meek or the timid to get up and perform. Especially those that were not even at the legal age to possess a driver’s license. And although he may have been a bit on the young side when he made his debut playing on famed Maxwell Street at the tender age of 11, Melvin Taylor was neither meek nor timid. Maybe just a tad bit nervous. All those fears were rapidly brushed aside the instant the sweet notes of the blues began to tumble into the air from young Taylor’s guitar, with people’s heads turning and ears buzzing at the sound. That “little kid” quickly grew into a guitarist to be reckoned with, peppering the Windy City and well beyond with his unique talents on the six-string. Cuts such as “Depression Blues” off Melvin Taylor & The Slack Band, along with his take on Earl King’s “Trick Bag” off Bang That Bell helped earn Taylor a rabid following among those craving cutting-edge electric blues served up with a rock-n-roll attitude. Everywhere he went; people soon found out that Melvin Taylor was no flash-in-the-pan. He was in it for the long haul and he quickly picked up eager fans along the way, joining him for the ride. Those die-hard fans of Taylor might be a bit taken back when they pop in his ninth long-player, the aptly-titled Sweet Taste of Guitar, into their CD player. So what’s the initial reaction been to the jazzier side of Melvin Taylor? Pretty good might be an understatement. In addition to playing all the instruments on Sweet Taste of Guitar, Taylor also produced the disc, arranged the songs and also recorded them, making it a true showcase for all of the guitarist’s talents. 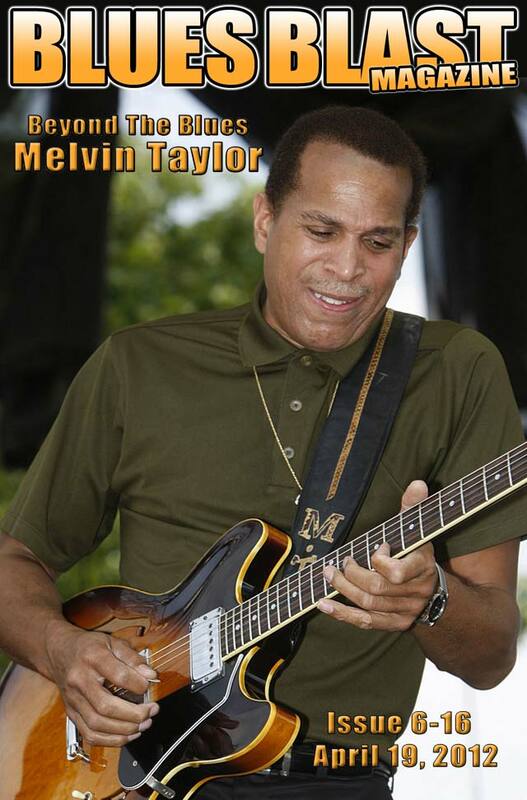 So, hot on the heels of his previous album – 2010’s double-disc Beyond the Burning Guitar, which was also chock full of jazzy riffs and featured his spin on “Beethoven’s Fifth,” should we just assume that Melvin Taylor has completely changed directions and turned his back on the blues for good? Taylor really became fascinated with the guitar right as a new musical explosion was sweeping the landscape - a time when bands like the Jeff Beck Group and Led Zeppelin were taking the blues and giving them a hard-edged feel. While at the same time, groups like Return to Forever and the Mahavishnu Orchestra were blending jazz with straight-ahead rock. However, not all of the “older musicians” were critical of what Taylor was doing. Matter of fact, there just happened to be a pair of legends who were way into just what Taylor was doing - Pinetop Perkins and Willie “Big Eyes” Smith. “Man, those were my buddies. They got me when I was just a pup,” Taylor said. Fresh off their exit from Muddy Waters’ band as the 1970s turned into the 80s, Pinetop and Big Eyes had plans at striking out and making a name for themselves outside of their former bandleader’s larger-than-life shadow. And all the newly-formed Legendary Blues Band needed was a guitar player. That turned out to be the 22-year-old Taylor’s ticket out of what was basically a dead-end scene on Chicago’s west side at the time. Although he never got the chance to record with Pinetop and Big Eyes, Taylor did do extensive touring with the duo, both here in the States and over in Europe. That’s remarkable stuff for a young player to experience – going from turning heads as a pre-teen on fabled Maxwell Street to criss-crossing the globe in their early 20s with a pair of Hall of Famers. But when you consider that for a long period of time, Taylor didn’t have a ‘real guitar,’ that makes his early accomplishments doubly special. Eventually – homemade instruments or not – word of Taylor’s prowess on the guitar began to circulate until it found someone who could actually help him out. Although at the time he was forced by necessity to build his own equipment, these days Taylor modifies all his gear – guitars, amps, pedals – everything, because he enjoys it. He is presently working with a Japanese company testing their high-grade wire in his guitars, amps and guitar cords. And while Maxwell Street is certainly not like it used to be back in the day, thanks to never-ending ‘modern progress’ and the University of Illinois at Chicago, memories of those afternoons filled with music and adoring crowds are likely to stay with Melvin Taylor forever. 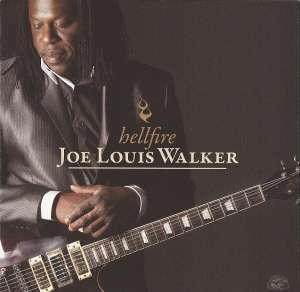 Back in the late 80's, I had the pleasure of seeing several live Joe Louis Walker shows that featured his back-up band, the Boss Talkers. Together they served up a potent mixture of blues, soul and gospel with so much energy that you couldn't resist getting up and dancing. Over the years, Walker has released a steady stream of recordings, most of them good and some being almost as memorable as the Live at Slim's records that captured Walker with the Boss Talkers. His first Alligator release comes close to capturing the fire and energy of Walker's early years. 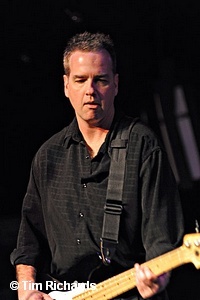 He is teamed up Tom Hambridge, the award-winning producer famous for his work with Buddy Guy. In a conversation at last year's Blues Blast Music Awards show, Hambridge told me that the most important aspect of the producer's role is to make sure the artist has a strong batch of songs. With so many great instrumentalists out there, Hambridge believes that memorable tunes are the difference that can elevate an artist's work from the crowd. The truth is that when you sing with as much passion and urgency as Walker does on Hellfire, just about any song will have the ability to make an emotional connection with listeners. 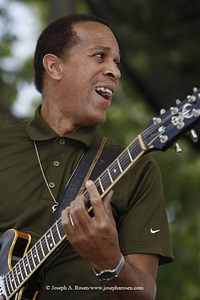 The title cut finds Walker sermonizing about his struggles to escape Satan's lure, his frenzied guitar creating an aural version of the Devil's playground. “Soldier for Jesus” takes Walker back to his days as a member of the Spiritual Corinthians, only this time he gets backing from the renown Jordanaires on a spirited gospel tune that also features some biting slide guitar from the leader. They also lend a hand “Don't Cry”, a Walker original that expertly mixes righteous lyrics with a funky, contemporary r&b sound. The pace slows on “I Won't Do That”, with Walker at his finest with a gripping vocal and fierce guitar work. 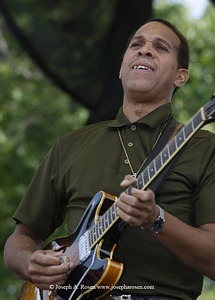 Walker and Hambridge co-wrote “Ride All Night”, a rocker that sounds like it was plucked from the Rolling Stones songbook, circa the Exile on Main Street era, with Wendy Moten adding a rousing backing vocal. Walker's upper register harp work and fervent singing spark the cheating song “I'm On to You”. Walker turns the brooding Hambridge tune, “What's It Worth” into another highlight, his voice and guitar battling each other to tell the searing tale of a lost love. Reese Wynans handles all of the keyboards on the disc. Hambridge is on drums and Tommy MacDonald on bass completes the rhythm section while Rob McNelley adds his guitar to the mix. Matt White on trumpet, Roy Agee on trombone and Max Abrams on sax appear on two cuts. “Too Drunk to Drive Drunk” is a ferocious rocker with some great piano playing from Wynans and “I Know Why” is a love ballad with the horns gently riffing behind Walker's moving vocal. The disc closes with a lively cover of Hank Snow's “Movin' On” with guitar solos from Walker and guest John D'Amato sandwiched around more Wynans' fine piano work. It is a fitting end to one of the strongest releases in Walker's career. His soul-stirring singing, coupled with his electrifying guitar playing, make this a must-be-heard release. Why would Blues luminaries like Bob Stroger, Chris Cain, Sax Gordon, Marty Binder, and Harlan Terson help record a CD for an Italian artist they didn’t know? Was it because he paid them a whole bunch of money? Maybe, but, what’s more likely is that they wanted to help when they met Giordano, discovered his love for the music, and heard Luca’s impeccable licks. Sure there are scads of guitar heroes and string benders out there, but Giordano is truly blessed with fretboard sensibilities, tone, and style. He is not a shredding wizard nor a throttling mechanic; he is a guitar whisperer. And, when his whispers, the guitar talks back in a full range of amazing notes, emotions, and sounds. This guy didn’t just go to the woodshed, he visited an entire lumber yard! Born in Teramo, Italy, in 1980, Giordano learned guitar when he was 20 years old. Constant improvement and a deep passion for the Blues led to a period in Italy playing with his first band "Jumpin’ Eye Blues Quintet." 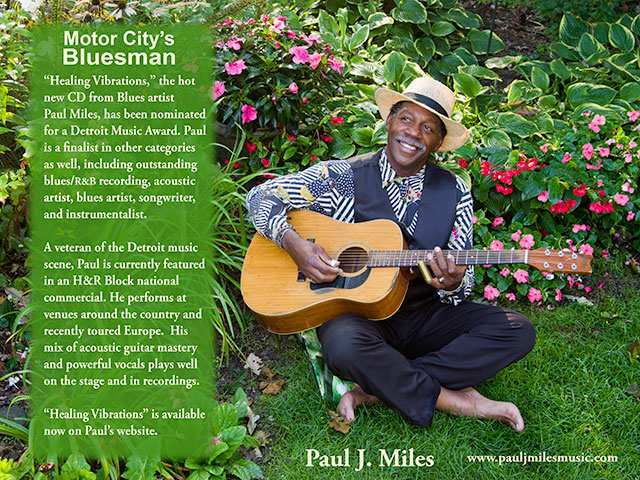 He moved to Chicago and collaborated with several Blues artists like the Les Getrex Band, Sharon Lewis and her Texas Fire Band, JW Williams, Eric “Guitar” Davis, Jimmy Burns, and many more. 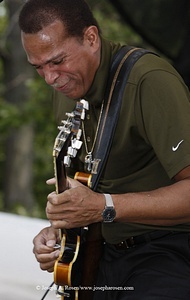 He performed at the Chicago Blues Festival in 2008 with James Wheeler and in 2011 with Eric “Guitar” Davis. Festivals have been aplenty in both Europe and the United States where he performed with many of the above mentioned and more, like Nellie “Tiger” Travis, Sax Gordon, and the late Willie “Big Eyes” Smith. 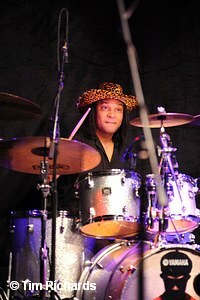 A look at his current 2012 schedule shows many European appearances backing both Demetria Taylor and Bob Stroger. 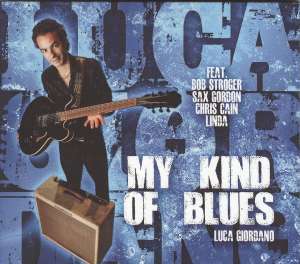 Recorded mostly in Europe, “My Kind of Blues,” is Luca’s first solo album. At 76 minutes plus, it gives more than one’s money’s worth. Including two Giordano originals, the CD’s 14 songs are mostly instrumentals, and the ones with vocals are sung alternately by Bob Stroger, Chris Cain, “Linda;” Luca himself sings on three. The band is composed of standout Italian musicians with guest appearances by more Italian compatriots as well as the above mentioned American stars. Across the set, Giordano nicely mixes slower numbers in between up tempo songs. The styles include Chicago Blues like Jimmy Rushing and Count Basie’s “Goin’ to Chicago,” here sung by bassist Bob Stroger with great Hammond organ by Franco Angelozzi. Stroger’s own “Something Strange” features the same lineup. Speaking of Chris Cain, he adds guitar and sings his unique baritone on his own mid-tempo song, “The Day All Your Good Luck Goes Away.” Pippo Guarnera is simply classy on both piano and organ. I would like to meet Luca in person and let some of his enthusiasm and love for Blues captivate my interest the way it has on so many fellow artists. Until then, I’ll just have to dig his engaging, entertaining, and creative work in recorded form. German native Volker Strifler left his homeland in his twenties to explore his passion for the blues in the states. Now based in Northern California, the guitarist and singer-songwriter offers the latest cd of his solo career, after years playing with The Ford Blues Band, Robben Ford, Chris Cain and others. At this stage of his career his music is an amalgamation of roots music, rock, blues-rock, jazz, a touch of blues and whatever else he chooses to throw into the mix. His guitar skills and pleasing classic-rock vocals lend themselves quite nicely to his confident sound. As if he doesn’t do enough, he manages to provide a stellar production job. Having top-of-the-line backing musicians is the icing on the cake. “Going To Brownsville ”, his adaptation of Sleepy John Estes’ 1929 song “The Girl I Love Got Great Long Curly Hair” is the only real blues song here. 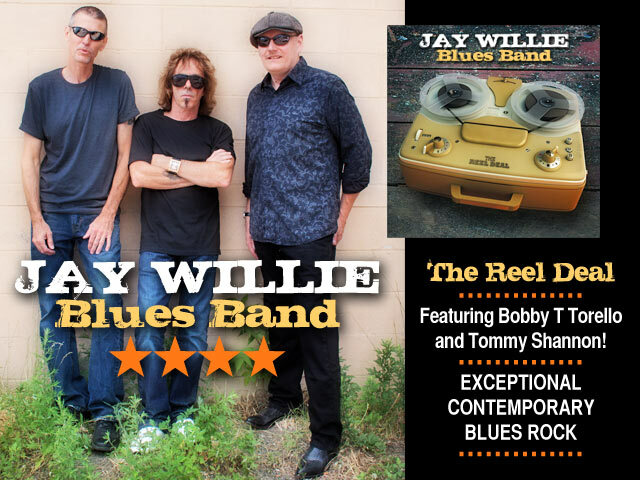 The unique herky-jerky treatment given to it here breathes new life into a blues classic. Volker’s smoldering electric slide guitar dodges in and out of the mix with horns, mandolin and electric piano. The variety of riffs are a treat for the ear. Spy movie horns combine with country-meets-jazz-meets-The Ventures guitar to move “The Great Escape” along just nicely. A quest for peace is the theme of “Redemption”. It is given an island “Junkanoo” groove via horns and tasty percussion. Volker’s snaky guitar works itself right into the festivities, never sounding out of place. Fleetwood Mac’s “Jigsaw Puzzle Blues” is an instrumental were guitar and horns complement each other. (Chip) Roland Condon lends his piano skills to “Wait A Minute” to blend with the slide guitar to create somewhat of a Little Feat vibe. Slide guitar skips all through the title track, leading up to the narrator’s joyful departure from this mortal coil-“Want you to dance around my grave, now, and let the music rise”. “It’s Getting Late” finds our hero on a boozy New Orleans’ journey into depravity. The Little Feat influence shows up again on “Last Night I Had A Dream”, as Lowell George-style slide guitar morphs into classy blues-jazz riffing ala Volker’s one-time compatriot Robben Ford. The Ford influence shows up again in the cool-blues of “When Daylight Comes”. The instrumental closer, “Hoogie Boogie” owes a debt to those masters of the country instrumental, the Nashville pedal steel-guitar duo of Speedy West & Jimmy Bryant. “Say what?” you may ask. I learned of them second hand as well. They were the premier instrumental team in Nashville when I was knee-high to a grasshopper. They also backed some of country music’s biggest stars of that era. Volker utilizes some similar faster-than-the-speed-of-sound licks on this track. Is it coincidence or is the guy just that good? As soon as I got over my disappointment of not getting a blues record, I began to appreciate the goodness that was going on here. The guys make it sound so easy that the music flies by and you find your finger involuntarily hitting play at the end. The many musical styles blend together to create something wholly satisfying. 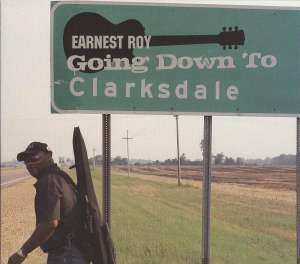 Clarksdale native and second generation bluesman Earnest “Guitar” Roy started early, aged 8, in his father’s band which at one time included Big Jack Johnson. He played drums on Johnson’s first album “The Oilman” and also played drums and guitar on Frank Frost’s “Midnight Prowler” album for Earwig. He then played in Albert King’s band until Albert’s death. However, little has been heard from him for some time, this CD being his first since 2005. This CD was recorded summer 2011 in Water Valley Mississippi and it appears that Earnest played everything on the album himself as the CD states that “All songs written, arranged and produced by Earnest Roy”. Opener “Hard-Headed Woman” is a fast-paced shuffle with strong guitar lines. 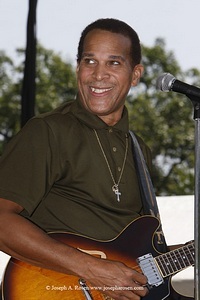 The title tune name checks some of Earnest’s influences in a song that talks about returning to the home of the juke joints. “Evaline” is one of those songs about how the guy is badly treated by his woman but has a rather plodding rhythm. The acoustic guitar intro to “A Letter To My Sweetheart” provides a touch of country but the gentler pace does rather expose Earnest’s weakness as a vocalist and the song is too long but the electric guitar overdub is a positive. “How Long” is a jauntier piece with some more nice guitar. “I Wanna Know What My Little Girl’s Been Doin’” provides something of a down-home/back porch approach. Unfortunately it is also the longest cut on the album and, for me, outstays its welcome. “Somebody’s Got To Give” has a lot of wah-wah and a rather dull spoken part; “Too Many Women” closes the CD with Earnest solo, just his acoustic guitar and a stomp board. Earnest has clearly put such a lot into it. He has a serviceable voice and plays decent guitar throughout the album. The overall sound is rather ‘muddy’ and the songs lack interest or distinction. It is hard to see how this CD will make a mark against many others. The Minnesota Blues Society presents the 2012 Road to Memphis Challenge Sun, April 22, 2012 at 1:00pm (doors @ noon) at the Minnesota Music Cafe, 499 Payne Ave., St. Paul, Mn. The 2012 Iowa Blues Challenge Semi-final Rounds will be held April 19, at Zimm's, Des Moines, IA, and April 22, at The Muddy Waters, 1708 State Street, Bettendorf, IA. Five bands will play thirty-minute sets at The Muddy Waters starting at 5:00 p.m. Admission is $7 for ANY blues society member or $10 for non-members. Competitors are The Mississippi Misfits, Slack Man & the Smokin' Red Hots, Judge #3, Serious Business, and Phineas J's. 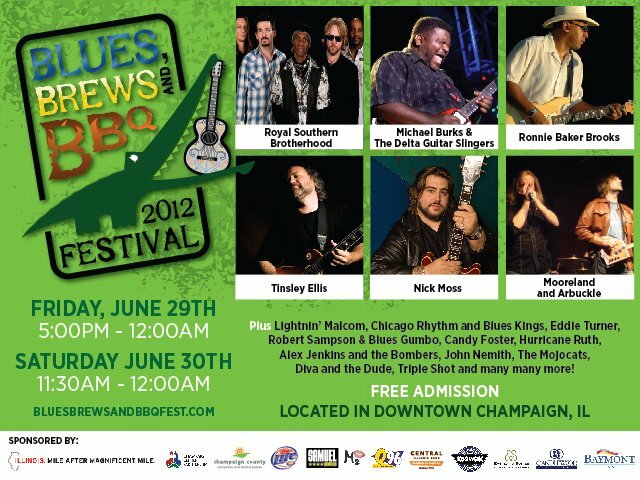 One of the bands from the IBC semi-final round in Des Moines and two of the bands competing in the semi-finals at The Muddy Waters will earn the right to move into the 2012 Iowa Blues Challenge Final Round, to be held in Des Moines on May 26, at the Downtown Marriott. When Tommy Lee Cook partnered up with Danny Shepard on the previous Outside Looking In, they had such a good time creating music and decided to head back into the studio again to see if they could recreate the musical camaraderie that spawned a strong collaboration. The formula seems to work and what results is a solid piece of work in Mailbox Money. Heading into the studio Downtown Buckingham, these tunes were conceived right on the spot. All eleven tracks are written by Danny Shepard and Tommy Lee Cook. Essentially these are two middle-aged guys who aren’t looking to get on a pretty boy list or hanker for radio airplay. Shepard may not be the most technically advanced guitarist to engage in a guitar slinger shootout with. Guitar lovers wishing to find fiery fretwork in these songs will have to look elsewhere. The man’s sole purpose is anchored in being a catalyst for Cook’s vocals that bore a resemblance to the Night Tripper Dr. Johns. Using the usual suspects in guitars like dobro and pedal steel is a real treat. I am going to take a guess that an “East Indian swarsangam” is some sort of sitar. Playing it seems to work in what seems to be the most commercially accessible song on the track “Life Is A Puzzle” that is the most likely candidate for any radio airplay. Fortunately the rest of the music doesn’t follow this blueprint. Speaking of Dr. John, if you want to hear Cook do his best imitation than “Certified Fool” is a good place to start as any as it’s a cry in your beer ballad. The dobro playing is a comic relief in the humorous “Me And Russell Crowe” that comes off as a barroom sing along. If you think these guys don’t have a handle on playing swamp rock, guess again. Just when the sexual bawdiness seems to be missing than “Move A Little Closer” plays the devil’s advocate in your personal soundtrack of a one night stand. It’s a natural setting to the highway rocking “Human Nature” that detours into the piano heavy “Test Of Time.” In these last cropping of tunes does Shepard seem relaxed enough in his role as a guitarist to toss of a lead every now and then. Though he could be limited in his abilities of what he could do as a lead player, his guitar playing is to act in service to the songs and not vice versa. It’s back to the swamps in the greasy “Come To Me” that beckons like an evil lady of the lake. Having the title track “MailBox Money” be the ending cut on the album is a strange choice. Usually it’s sandwiched in between tunes on the first half of an album. Clearly these guys are doing things their way and reserving this track as the finale is a good choice as any. The dobro playing pushes the number into a deeper rural setting befitting a hot summer’s day as a long road trip along Highway 61 takes you to the crossroads you want to get to. All in all, a very satisfactory piece of work to listen to. And while it’s not intended to blow anyone’s doors off, it’s something to kick back to and occasionally rock to. Hints of Delbert McClinton, swamp, blues, rock and pop are the components making up an album that can be latched onto through repeated listenings. For Tommy Lee Cook that’s an accomplishment..
WOW! I l have been a fan of Studebaker John's for many years. When he was signed by Delmark and released his "Maxwell Street Kings" album I was impressed by the somewhat minimalistic but totally authentic music he produced on that great CD. I reviewed it for our Blues Society and was happy to see Studebaker at the top of his game. When I got this CD and popped it in to the opening strains of "Rockin' That Boogie" and I knew I was in for something far more intense than his first Delmark release. Big, bold sounds, a driving groove, hot guitar licks, and John's always intriguing vocals sold me after a few bars, and I still had 13 tracks to go! Perhaps one would label Studebaker John Grimaldi a throwback. He turns 60 later this year, having grown up in the tumultuous era of the 1960's in an Italian American neighborhood in Chicago. The walls between musical types were beginning to break down when he was a teenager learning to play guitar. He had already mastered the harp and drums and was cutting his teeth on the six stringed ax while listening to a mix of blues and early rock. One can see the blending of these influences in this CD, where Slim Harpo, Jimmy Reed and Hound Dog Taylor meet Peter Green and Mike Bloomfield. I've enjoyed John's music for many years, but it seems to me he's even turned it up an additional notch with this recording. I saw him live on Saturday, April 14th in the midst of reviewing this CD and I also saw him a couple of times last year, so many of the tunes were familiar to me. His live shows are filled with the same electricity and energy as this album is. He recorded this live in the studio with minimal overdubs, so what you hear on this record is hot stuff. "Rockin' Hot" is another of the big, driving numbers that bring the dancers out- your feet just want to move to the strains of his guitar and the back beat of Bob Halaj on bass and Albert "Joey" DiMarco on drums. It's just three guys but they produce a huge sound and make for a fiery CD. "She's rockin' hot" groans John as he sings of his woman, and the same can be said for this CD- it is rockin' hot! He stays on that theme with "Fine Little Machine", singing of being the driver for his woman's fine little machine. "Fire Down Below" features blistering harp by Grimaldi and Doug Organ appears on the B3 (the only track where the trio expands). Hot, hot stuff. The innuendos are not deep, but they don't need to be as they remind us of blues lyrics from days past. He's got some hot songs that will make believers of the those not familiar with his work really impress those who are. He occasionally takes the pace down a bit. The stuff in the lower gears is equally appealing. "Mesmerized" features a Latin-styled beat while "Disease Called Love" dips into the swampy side of the blues. "Dark Night' is really the only other tempo cut; but they all drip with authenticity and goodness. He handles any tempo with ease and delivers powerfully moving music to the listener at all paces. Other songs of interest are, well ,all of the cuts. I can't single out each and every other but a few bear mention. "Deal With the Devil" is a pounding, and hauntingly cool song where John grabs you like the devil can. "She Got It Right (Dress So Tight) is another track that will get heart pumping and folks on their feet and dancing. A huge guitar solo where John takes a tour way down the neck of the guitar in a whirling and squealing 100 mph drive. And, of course, the title track is so, so true- old school rockin' done just right! 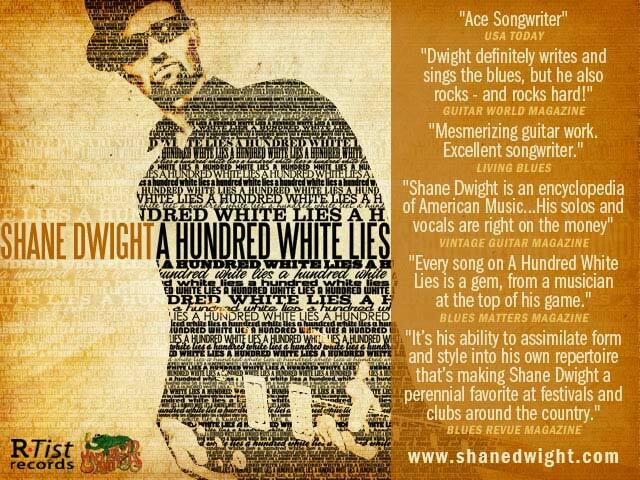 14 original tracks done by a Chicago blues original. This album is a non-brainer- buy it now. It is one of the hottest CDs I've heard in a long time and one of the best CDs I've heard in the past year! Every time I hear it I love it even more; do not pass this one up! Studebaker John has really outdone himself.